What's better than donating? 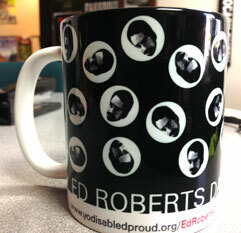 Getting cool stuff at the same time! 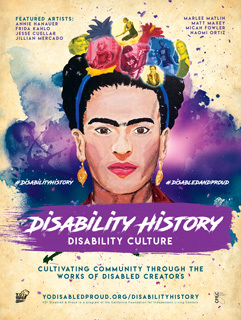 18" x 24" A fine art inspired poster celebrating artists in the disability community. 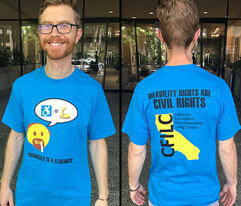 100% pre-shrunk cotton baby blue t-shirt in varying sizes, celebrating "Disability is a Strength" with an Edmoji graphic. 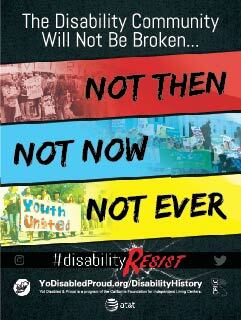 18" x 24" A resistance inspired high quality poster celebrating disability community activism from then and now. 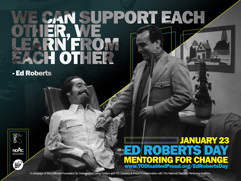 24" x 18" A mentoring inspired high quality poster celebrating Ed Roberts Day on January 23rd. 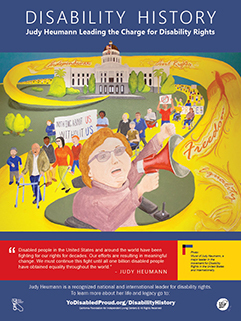 18" x 24" high quality poster featuring Judy Heumann. 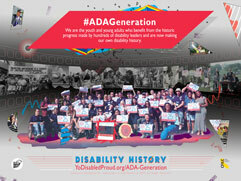 24" x 18" high quality poster celebrating the ADA Generation. 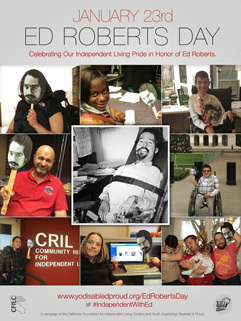 18" x 24" high quality poster celeberating Ed Roberts Day on January 23rd. 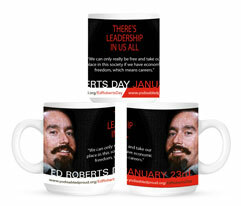 Coffee mug celebrating Ed Roberts Day on January 23rd. 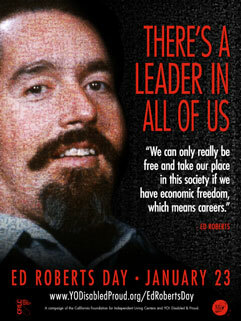 18" x 24" high quality poster celebrating Ed Roberts Day on January 23rd. 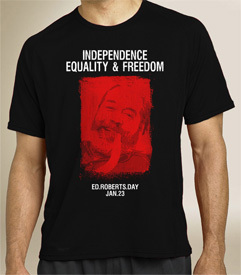 100% pre-shrunk cotton t-shirt in sizes XS to 6XL, celebrating Ed Roberts Day. 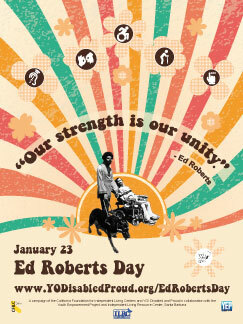 17" x 11" high quality poster celeberating Ed Roberts Day on January 23rd. 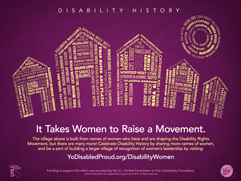 24" x 18" high quality poster celeberating Women in Disability History. 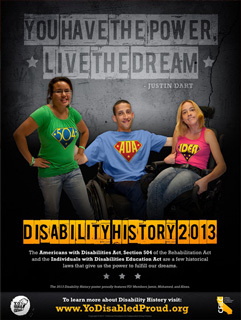 18" x 24" high quality poster celeberating Disability History Month for 2013. 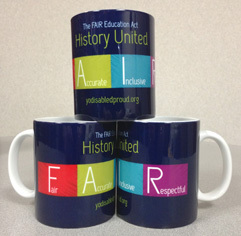 Coffee mug promoting the FAIR Education Act. 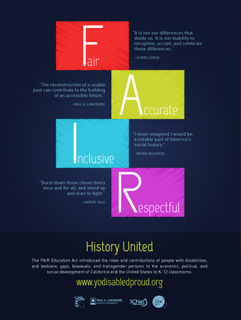 18" x 24" high quality poster celeberating the FAIR Education Act. 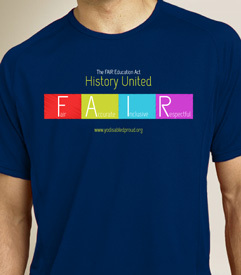 100% pre-shrunk cotton t-shirt in sizes XS to 6XL, celebrating the FAIR Education Act. 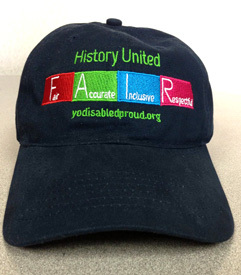 Navy-blue hat with adjustable band, and embroied FAIR logo. 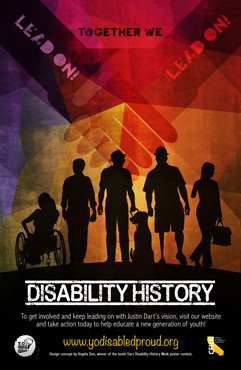 17" x 11" high quality poster celeberating Disability History. 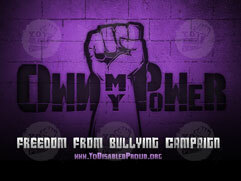 Own My Power wallpaper for your computer or iPad. 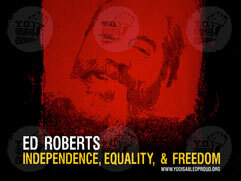 Ed Roberts Day wallpaper for your iPhone. 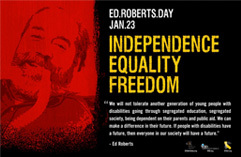 Ed Roberts Day wallpaper for your computer or iPad. 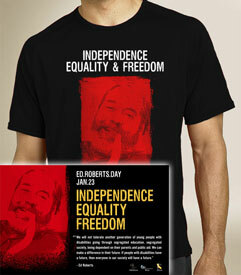 Ed Roberts t-shirt with poster combo pack. 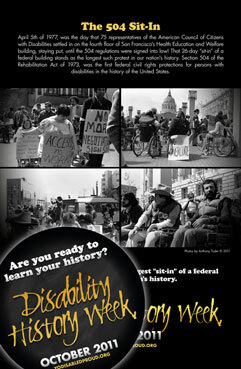 DHW poster and documentary DVD package on the historic civil rights demonstration of 504 Regulations. 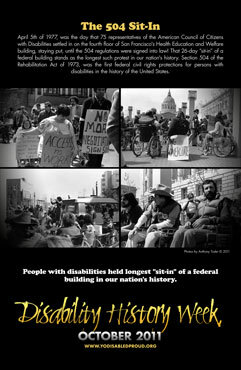 The Power of 504 documentary video (DVD) on the civil rights demonstration of 504 Regulations. 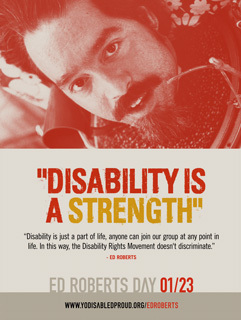 17" x 11" high quality poster celeberating Disability History Week in 2011. 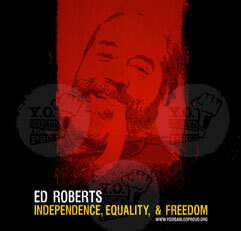 Own My Power combo pack with high quality poster and button. 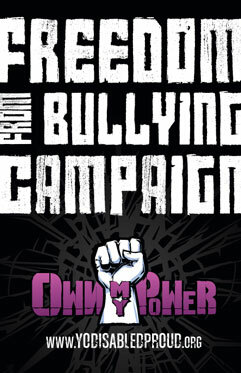 17" x 11" high quality poster for the Own My Power. 3.5" diameter button for Own My Power. 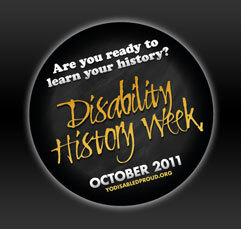 5" diameter button honoring Paul Longmore's book burning. 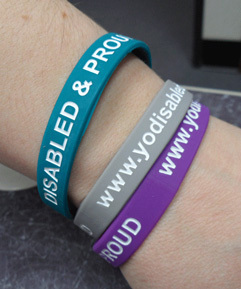 Show off your disability pride with the popular silicone wristbands. 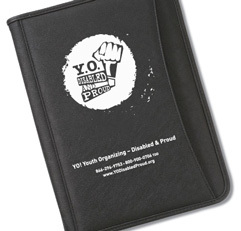 This zippered, black vinyl portfolio holds an 8.5" x 11" tablet with lots of pockets.